eBay offers a 100% satisfaction guarantee on all purchases, regardless of what individual sellers set up as their return policy. eBay's goal is for customers to be completely satisfied with their purchases and return to the site to purchase more items in the future. Sellers are able to set up certain policies and procedures, so make sure you read the seller's policies before purchasing, and again before initiating a return. eBay sellers can include a restocking fee of up to 20% for returned items. For example, if a buyer purchased an item for $50 and wants to return it, the seller is only obligated to refund $30 of their original payment. This is completely eBay legal, and fair to the seller, as far as eBay sees it. After a return, the seller does not receive his final value fees back and must go through the process of listing the item again, and restock the item. The seller has spent money on shipping supplies, printer labels, printer ink, and of course their time in shipping the item and dealing with the return. Just remember that returns can be costly for sellers so that is why eBay allows a restocking fee. This is another area where sellers can lose money, so eBay allows sellers to specify who pays the return shipping. 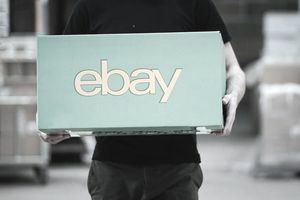 Obviously, if the item is grossly misrepresented, damaged, or the seller is at fault in the listing, eBay will require that the seller pays return shipping. Otherwise, the buyer usually pays. Buyers need to read the listing carefully to determine if they are responsible for paying return shipping. eBay sellers usually include measurements on clothing items, so buyers can check for a proper fit before purchasing. Most sellers pass this cost on to the buyer because returns can be a case of buyer's remorse, and sellers aren't going to pay for that. Sellers have the ability to set a return window. The options are 7 days, 14, days, 30 days, or 60 days. If you are shopping for an item where there is even a slight possibility it may be returned, make sure you understand the seller's return window. Once you receive the item in the mail, assess whether or not you need to return it. If it is clothing, try it on and decide if you want to keep it. If it is a home decor item you are attempting to match to other decor pieces in your home, go ahead and make that decision. The longer you wait to return an item, the more likely it is that you will forget altogether and the return time may expire. Evaluate and act right away, don't wait. ​eBay's Satisfaction Guarantee has a default return period of 30 days. eBay makes it easy for buyers to return items if they aren't happy with their purchase. Follow these steps to initiate a return, after you have read the seller's return policy, agree to the restocking fee, and are within the specified time frame to return the item. On the top left, click "Summary"
On the left margin, click "Purchase Summary"
If a buyer does not use eBay's return label printing workflow, the package cannot be tracked. The eBay label will have a tracking number and this is recorded in your eBay account. Always print return labels through eBay so that eBay can see when the item was received. If a buyer uses his own postage or takes the item to the post office to be weighed and shipped, eBay can't see the tracking number and will not require the seller to refund. eBay created this policy because there are some dishonest people in the world. In the past, buyers have claimed they shipped an item, but don't have any proof to back that up. It is the buyer's word against the seller's. If a dispute arises, eBay will not side with the buyer who doesn't use the eBay label printing feature, so be sure to return your item using the proper protocol. Sometimes a return is not worth all the trouble. For example, let's say you purchase a $30 clothing item on eBay and pay $5 shipping. You decide to return the item because it doesn't fit, and the seller has a 20% restocking fee and requires the buyer to pay return shipping. If the item is returned, the buyer has spent $35 in total, but only receives $24 back, and has spent $5 out of pocket to pay return shipping. So in essence, the buyer wasted $10 on shipping ($5 to receive it and $5 to return it) and $6 on a restocking fee and is out $16 for nothing. It might be a better idea to resell that item on eBay than waste money on return shipping and restocking fees.